This blog is my personal platform which I do enjoy. It is my own viewpoint and my own ideas. I may not be right and other installers / experts may offer a different view point or a alternative way to do something. I welcome contributions from anybody experienced to do so. 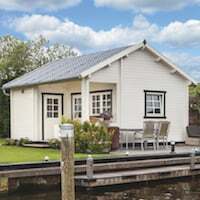 All my blog writing is MY OWN personal opinion ONLY and is NOT always the opinion of TUIN | TUINDECO as a company. 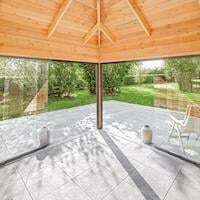 Log Cabins and Garden timber have a myriad of intricacies , I love to give away the secrets, there are a lot! I enjoy using this blog to expose them so you know what you are buying. I love to know I am causing a few problems in the industry as it can be on occasions less than honest. I actively encourage everyone to install their own buildings. So many times I would fit and the company I was working for would charge loads for my time, only then to be faced with the embarrassment when the customer says 'I could have done that' and YES you can without paying hundreds of Pounds! 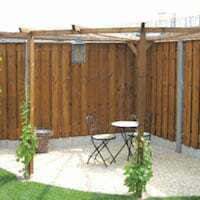 I have over 19 years experience within the garden timber industry. 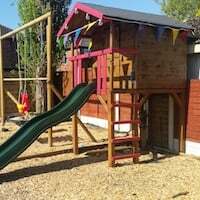 I have particular expertise in garden buildings including the manufacture, design and installation from sheds to log cabins and all the way up to timber framed houses. 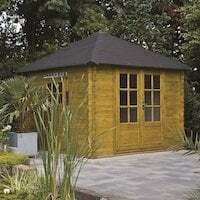 In my time I have been involved with virtually every manufacturer and supplier of garden buildings. 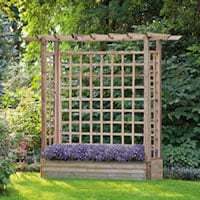 I have also installed pretty much every make of Garden Building there is from ALL suppliers and manufacturers. Prior to my career change I was a Watch Commander in the Fire Service with particular expertise in chemical incidents, training, technical design / technology / IT /Procedures / ISO Systems and road traffic accidents. I retired due to a nasty injury after 20 years service. 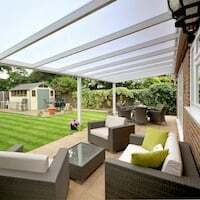 During my time in the Fire Service, on my days off, I was a self employed fitter for any type of garden building, I worked with most of the well known companies as a subcontractor. 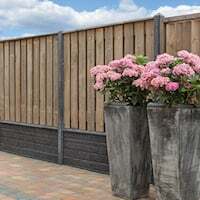 I now work with Tuin | Tuindeco in the UK, supporting and advising on the vast range of products. I keep an eye out for help requests when we a supposed to be closed and can usually get back to you out of hours via email only (wife and children permitting on my days off). In my private life I consult as an independent expert assessor for companies or private individuals when a dispute is present over their structure which results in producing an impartial report and assessment for whoever requires it. This is often higher valued than a structural engineers report born from my credentials, experience and widely recognised as an 'Expert' in the field. 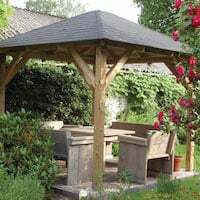 I am a freelance writer for numerous companies, publications and blogs as well as an independent expert and fault finder for parts of the Industry and consumers with a particular emphasis on timber structures, both framed and of an interlocking design such as log cabins. 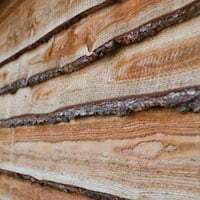 I produce numerous articles about timber in general, information on general timber products and specific guides when needed. I hope you enjoy and find my writing useful. Please contribute and comment to my posts as you would like and I will try to respond as best I can. It’s going to be a mad year for those of us in the timber industry, and, things are about to get really interesting! I recently took Megan who works within our apprentice scheme to Holland to see Tuindeco and understand more of how Tuin and Tuindeco works, her blog about the visit can be read here: Megan’s Tuindeco Trip 2018. You’ll see from her blog tales of massive stocks of buildings, timber, products, of large warehouses and acres of space all taken up with million of Euro’s worth of money. Not only is this because Tuindeco want to offer lightning quick delivery but also because there is trouble brewing. Timber this year is in massive shortage, a shortage that hasn’t been seen for almost a decade. 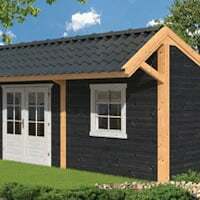 This is going to push up prices hugely if timber can be bought at all. Tuindeco bought the majority of their timber stock last year as soon as a problem was spotted hence the massive stocks. This also meant price rises were minimal for the stock secured. Now though ….. Well, I see competitors suddenly introduce very, very high price rises, if you look around now at prices you will see everything increasing rapidly. We’re feeling secure in massive stocks at last years prices. But, we are even feeling the new restrictions slightly and some buildings are becoming out of stock as the clever buyer is buying now. The problems we are facing is the availability of roundwood – the raw material trees cut from the forest. It has been (again) a very warm winter, the ground has been too wet for the machinery to operate in thereby cutting the timber. NOW, just a week ago it is announced that the sawmills only have stocks for 4 – 6 weeks and then all lengths of timber is unavailable. To add to the problem it is now the nesting season and all felling is forbidden for two months and this means from last Thursday (19th April) no raw roundwood will be available. We are having some problems at the moment where stock is taken quicker than expected but Tuindeco does have roundwood stock that is being milled but on some products there is a slight delay. Demand is huge at the moment and stock can go very quickly so please, to avoid disappointment, order now from your chosen supplier. However Tuindeco are hugely well placed to beat the storm with the stocks available and the prices of last year rather than the massive increases our competitors are now facing. 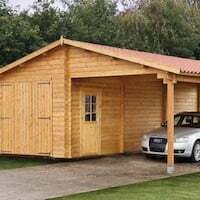 If you are considering a log cabin or any timber product please consider buying now as you will be very limited in a few short months and what is available will be crazily expensive if they have not got stockpiles from last year!